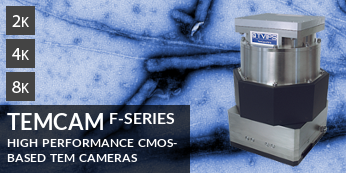 For 28 years, TVIPS has manufactured high-performance camera systems for Transmission Electron Microscopy (TEM) with resolutions from 1 to 64 megapixel. 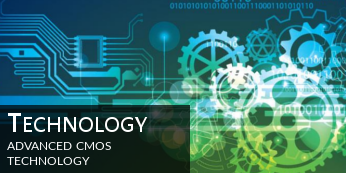 Our latest generation of TEM cameras is based on custom designed CMOS (Complementary Metal Oxide Semiconductor) technology with active pixel sensors. These cameras are featuring high dynamic range and exceptional acquisition speed. By optimizing the point spread function to the distribution of the scattered electrons in combination with ultra low noise sensors, single electrons can be clearly detected. 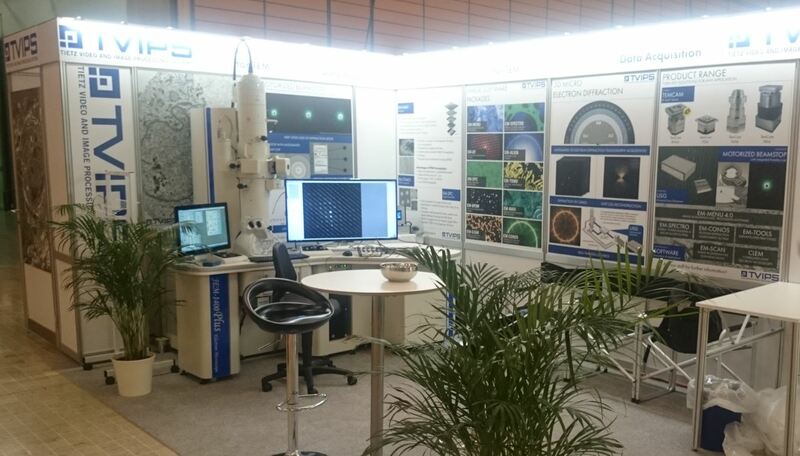 TVIPS announces a new generation of CMOS based TEM cameras for high-end scientific imaging in Transmission Electron Microscopy. 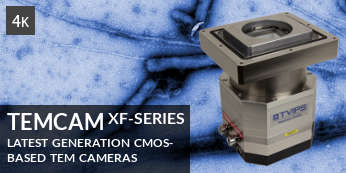 With its 50 frames per second readout rate (4k x 4k) and Ultra High Dynamic Range TemCam-XF416 is the best choice for material- and life-science and even perfectly suitable for in-situ applications. For high-end scientific imaging in Transmission Electron Microscopy, TVIPS designed a new generation of CMOS based TEM cameras with active pixel sensors available in three different resolutions: TemCam-F816 (8k × 8k), TemCam-F416 (4k × 4k) and TemCam-F216 (2k × 2k).